The world is seemingly on a mad scramble to find Kourtney Kardashian a new man. Since her split with Younes Bendjima last summer, the 39-year-old star has been linked to Luka Sabbat and David Dee Duron, although both turned out to be just rumors. Recently, an age-old romance piece of gossip has resurfaced between Kourt and musician Travis Barker. The two have been rumored to be dating each other for around a year. More recently, they were spotted enjoying dinner together with their kids at a Malibu restaurant last month. Travis and Kourtney have been close friends for a while now, as they're neighbors, but that's all they are: close friends. 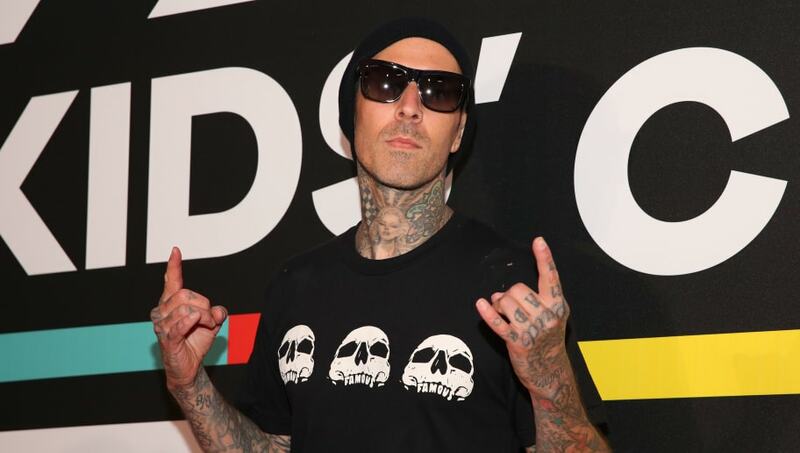 The Blink-182 drummer recently dismissed any romance rumors between the two stars for once and for all. “Kourtney’s like a dear friend. That’s it,” Barker told PEOPLE on the iHeartRadio Music Awards red carpet Thursday. "I mean, I love her to death. I love her family to death. But yeah, just friends." Kourtney has admitted that she "wants to be in love again," but it looks like she's just waiting for the right person to come along. And considering the recent cheating scandals her sisters have been embroiled into over the past month, maybe it's a smart move to wait to find "the one."